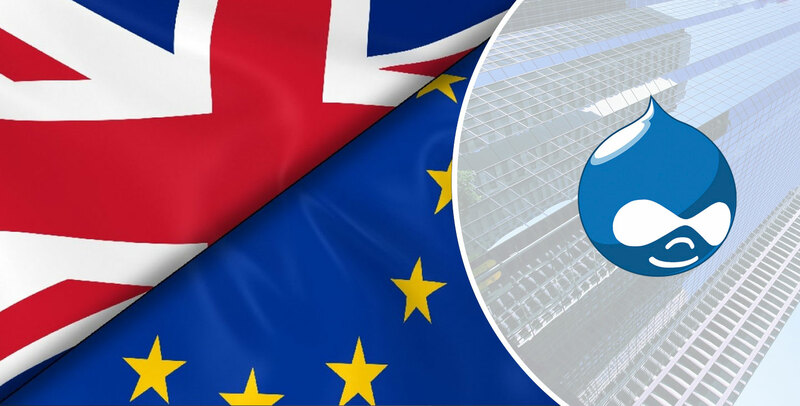 While Prime Minister Theresa May is yet to invoke Article 50 of the Treaty on the European Union formally requesting for the alienation of the UK from the European Union, speculations are on regarding the fate of UK economy, and tech businesses and job aspirants are baffled by the uncertainties lingering over, Root Info Solutions delves into the market prospects for a Drupal development company in London. Cheers! Close to 78% tech businesses are set to press the talent acquisition accelerator in 2017. Of them, 34% are likely to add 20 people and 40% to add between 6 and 20 people in their workforce. Only 6% have shown their reluctance in augmenting their capability citing lack of budget as a reason. Job recruiters have shown a clear sign of a lot of movement in the sector. Close to 62% employees, especially, experienced ones, are more likely to switch their jobs in the quest of more growth opportunities, better salary, and better workplaces. Thus, companies looking for skilled people will not face many issues in roping in the desired talent. 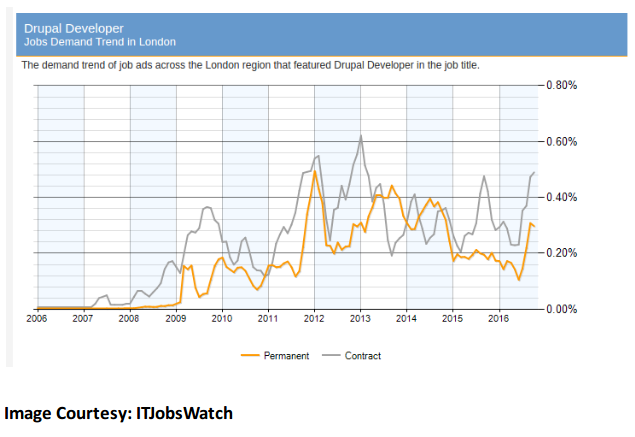 The number of Drupal development contract jobs has overshadowed the number of permanent jobs in London as per ITJobsWatch. According to Dice, the year 2017 can see an unexpected increase in the number of Drupal web development contractors in the country. Though, a major chunk of employees abstain from accepting a contract-based job offer, a silver lining does exist, not just in terms of flexibility but also in the remuneration offered. The median salary of a Drupal developer in London is £45, 000, however, the daily rate is £350. Thus, being on a contract a Drupal developer will take just four months to earn what a permanent Drupal developer will earn in the entire year. Choice is yours. To grasp the better opportunity available in the market, tech professionals are more likely to upgrade their skill sets. According to an estimate by Dice, 84% professionals intend to acquaint with the new technology development and, interestingly, out of them 48% are ready to self-fund their skill development program. However, employers need to ponder upon their skill development initiatives, and should be ready to fund, if they want to have an edge in the market. Hence, if you are a job seeker or willing to upskill your Drupal expertise to have an identity of your own, brush up PHP and other server-side languages and master the art of custom module development, integrating consume web services, deployment, etc. The choice is yours, whether you become the jack of all trades or champion just one. The market has ample potential to compensate for what you earn. Hope you enjoyed reading. Comment your opinion and share the blog, if you think it is going to benefit your friends, colleagues or family in taking the right step.